Remember the scene in the Disney movie Jungle Book where Mowgli and some naughty apes race through an abandoned city? Ancient, abandoned cities like the one in the movie really do exist. In Cambodia lies the remains of Angkor, a huge city built by the Khmer Empire between the ninth and 15th century. The city contains many temples built to worship Hindu gods. 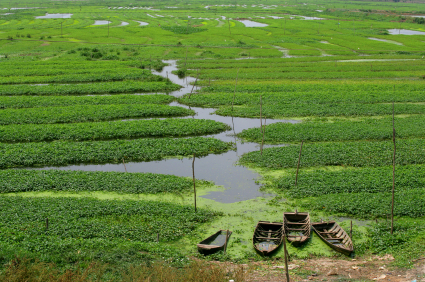 It also has huge reservoirs and canals to control the waters that flood Cambodia during monsoon season. Today, people live near Angkor in small villages, but the city is completely empty except for tourists. Cambodia is a flat, forested land. Most of the people living here are farmers, growing rice, fruit and vegetables. People live in small houses built on stilts to protect them from the floods that come each year. Cambodia has seen years of war and bloodshed. The Vietnam war trickled into Cambodia in the 1960s and Prince Norodom Sihanouk was removed from power in 1970. A few years later, Pol Pot’s Khmer Rouge gained control. This group killed more than 2 million people. Today, Sihanouk is the king again and the country has a constitutional monarchy. The king is the ruler, but he makes decisions with other leaders. 13,329,000 people live in Cambodia. The country has 69,898 square miles of land. Most people speak Khmer, French and English. Buddhism is the main religion. 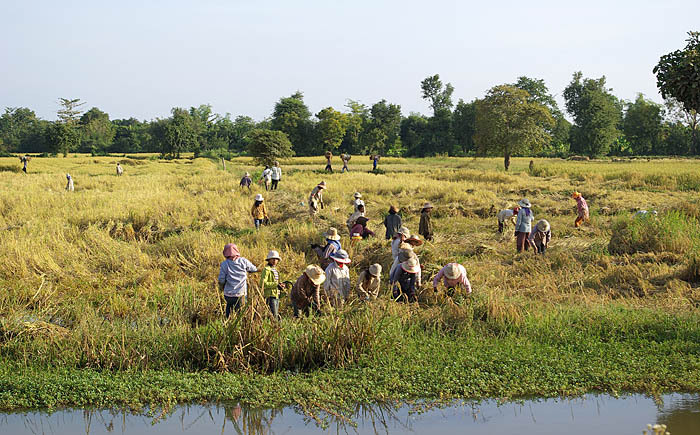 People in Cambodia can expect to live 56 years. 70 percent of adults can read. This is a video presentation showcasing the culture, sites and animals in Cambodia. Question: What is Cambodian culture like? Answer: Cambodia has a rich history and culture. People believe in close families and show respect and courtesy. Cambodian dancers wear brightly colored costumes and perform traditional dances as they have for thousands of years. Cambodia has its own form of martial arts, similar to karate. Here’s a map of the country of Cambodia and all its cities and villages. Zoom in to get into street level or zoom out to see other countries around Cambodia! You can see the terrain, but also see the roads, images of the buildings and even take a 3D tour through the streets of the cities of Cambodia, as though you are actually there! Enjoyed the Easy Earth Science for Kids Website all about Cambodia info? Take the FREE & fun all about Cambodia quiz and download FREE Cambodia worksheet for kids. For lengthy info click here. Declan, Tobin. " Cambodia Facts for Kids ." Easy Science for Kids, Apr 2019. Web. 20 Apr 2019. 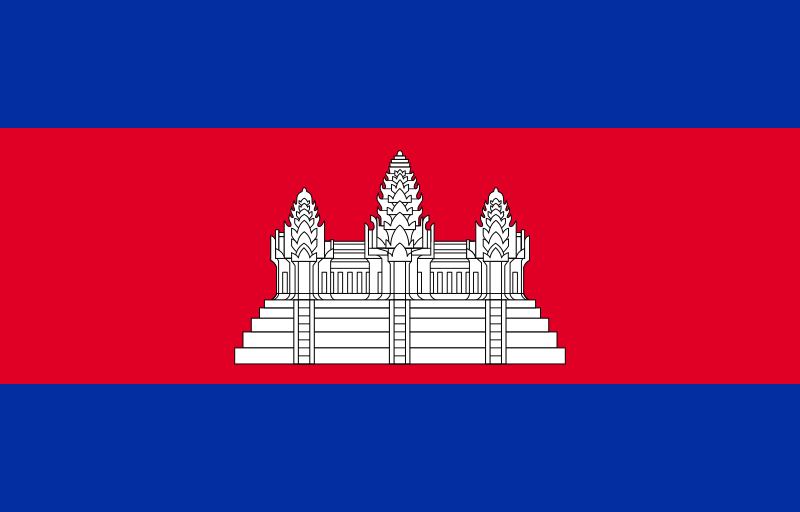 < https://easyscienceforkids.com/all-about-cambodia/ >.